Win a copy of Midnight Crossroad for yourself and one for a friend! We think that Midnight Crossroad is the kind of book that once you’ve read it you’ll want to share it with your friends. In fact, we know it. There's a pawnshop run by Bobo Winthrop and his vampire landlord, Lemuel. There's a diner (people who are just passing through tend not to linger). And there's new resident psychic Manfred Bernardo, who thinks he's found the perfect place to work in private. Stop at the one traffic light in town, and everything looks normal. Stay a while, and learn the truth . . .
We’re giving 25 lucky people a chance to win a copy of Midnight Crossroad for themselves and one to give to a friend. Because Midnight is for sharing. Which Midnight, Texas resident is a vampire? Would you like to hear more from Gollancz? 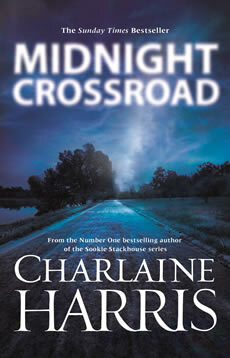 You can buy Midnight Crossroad in paperback, eBook and audio download. 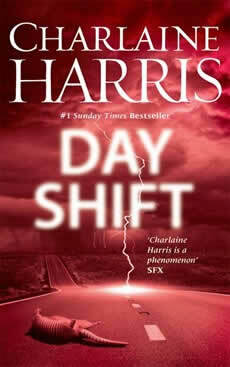 And don’t miss Day Shift, the second standalone Midnight, Texas mystery, out now! Order your copy in hardback from Amazon. Also available as an eBook and audio download.